Sanjo X Sanjo was developed in 19C Korea. It is thought to have been developed from shinawi, a form of improvisation played in shamanistic ceremonies in Jeolla Province, in the southwestern part of the Korean peninsula. Originally, Sanjo was improvised music but the forms are now set. It has five movements increasing in tempo and they are Chinyangjo, Chungmori, Chungjungmori, Chajinmori and Hwimori. Ji Eun plays the last two movements 'Chajinmori' and 'Hwimori of Jook Pa Kim's short Sanjo. 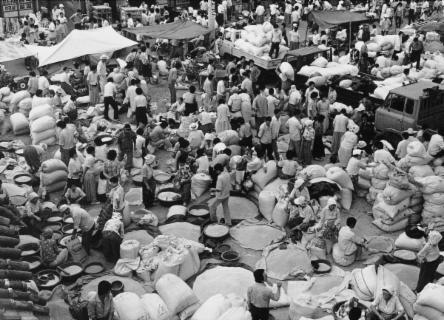 Market Day X Ji Eun's own composition inspired by her father's photo 'Market Day'. 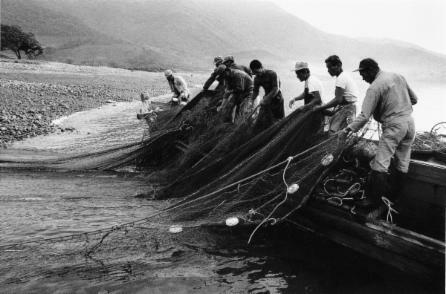 Her father Mr. Jung Hoi Jung is a professional photographer, and his photos show the scenes of Korea in 1970s. People of the Sea X This piece is based on a Korean traditional boating song which was arranged by Ji Eun and embellished with her own composition inspired by her father's photo 'People of the Sea'. 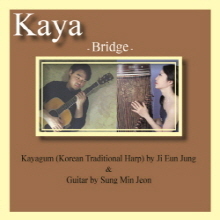 In this piece, the kayagum is joined by daegum, a traditional Korean bamboo flute. 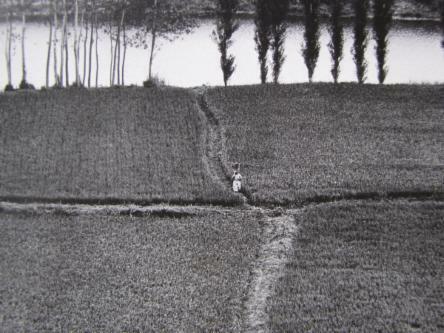 The Field - Arirang X Ji Eun arranged 'Arirang' inspired by her father's photo 'The Field'. 'Arirang' is the most representative Korean traditional folk song. Acoustic guitar joins the kayagum in this piece. Heart for the People X Ji Eun’s own composition. As known well, her home country Korea has been divided as North and South for more than 50 years. Apart from all the various issues, she believes the most important is the love for the people who are suffering. Home X Guitarist Sung Min Jeon’s composition ‘Home’ takes you to your home town, and all those scenery and memories left there. The Narrow Way X Ji Eun's own composition and words.There are many ways in our life, but she believes that the true way of life is narrow. [Lyrics] Where should I go, where am I going? I los t my way with my heart being empty. Where should I go, where am I going? Lead me to the narrow way where true peace and true love are. To the way of life, I will follow the way, the only narrow way. The narrow way which lightens my soul. New Arirang X Ji Eun arranged 'Arirang' into a modern style. In this piece, she tries to harmonize the East and the West. Amazing Grace - Ji Eun's own arrangement of the well known hymn. Amazing Grace X Ji Eun's own arrangement of the well known hymn. You can buy these music in full on iTunes and also many other major online music stores including Amazon, Google Play, Rhapsody, Spotify, eMusic, etc. 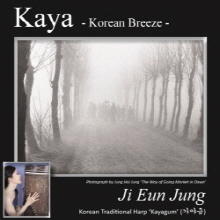 Please enter the keywords "Kaya Korean Breeze" in the search box. If you wish to buy them as a CD, please contact us and we'll post it to you. We have two of our official CDs and they are 'Korean Breeze' and 'Bridge'. They are factory produced and wrapped. The price is one for £10 and two for £15 icluding the delivery cost ONLY within UK. For delivery to any other countries, please ask us.